REDCap is an amazing tool for research data collection. Mosio makes it better. Depending on your set up we can integrate the systems so you control everything from inside of REDCap. This way you benefit from the usefulness of Mosio’s functions without needing to learn and use a second piece of software. If you’re a Principal Investigator, Research Coordinator, or REDCap Admin at your institution and are looking to get more out of REDCap by integrating automated, interactive text messaging available on your participant’s mobile phones, we’re here to help. Deliver REDCap survey URLs at specific days/times on autopilot with Storylines. 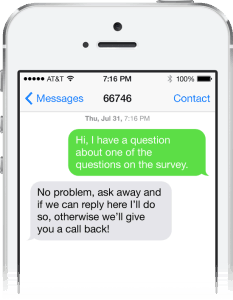 Conduct data collection/surveys via text message, then automatically import into REDCap. Reminds participants to finish surveys with friendly nudges. Engage in live, two-way text message communications with participants. Great for offering support or assistance during the study. 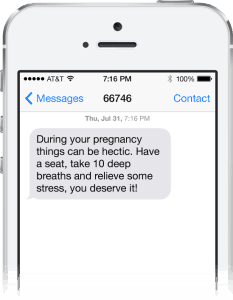 Send automated text-based interventions as part of your study. Configure and send individual or group messages containing text, links, emojis, or images. Schedule appointment reminders that ask participants to confirm their plan to attend. Deploy text messages triggered by activities completed (or not completed) inside of REDCap. Deliver gift code incentives for completed surveys. Schedule automated reminders to ensure completion of study tasks. Nudges can be sent if tasks are not confirmed as complete. Gathering of mobile photos as part of participant data collection. Set up text message triggers based on events in external software or hardware such as wearable devices. Configurable messaging modules improve research workflow. “I don’t want to pay for someone to code this from scratch.” We hear that a lot and it’s not how our service works. We’ve already built a suite of functions on our platform. We’ll work with you to configure and combine core features we call “Modules”, two-way texting functions, to create Programs. Programs enable researchers to efficiently communicate with study participants, run text-based intervention campaigns, send timed surveys for data collection, and remind study subjects of their appointments. Text messaging functions are configured inside of Mosio’s dashboard as well as REDCap. They can then be triggered via REDCap for ease of use by study staff. In some cases, once the system is configured, study staff don’t need to log into Mosio. They control everything from inside of REDCap. Schedule a short call to see how we can make your work even easier. Wait, but what about Twilio? Great question. Twilio is a wonderful service, they’re one of our SMS and voice service providers, but they don’t build or provide text messaging applications, they only provide the texts. If REDCap is your house and you decide you want to add a room, garage, deck, hot tub, etc, you have two options: you can contact someone who has experience in building what you want, or you can go to Home Depot. Twilio is like going to Home Depot: you can buy the materials, but someone still needs to design, execute, and manage the build. While DIY projects excite some people, many others want to call an expert to help them achieve their results. We can’t build you a hot tub, but we’ve been building text messaging solutions on our mobile messaging platform for clients for 10 years. And if you are a DIYer…great, so are some of us! We also recognize the value of working with outside vendors and partners to better-utilize our resources. It’s why we use SMS vendors to connect to the myriad of mobile carriers and have no interest in building our own EDC software. Research organizations like yours began contacting us to see if we were able to integrate our text messaging platform into REDCap. If you’d like to get a free consultation or have questions about how Mosio can help you achieve your REDCap-controlled research goals, contact our Development team for more information. Get our pricing guide or find more examples of the solutions we offer on our capabilities page.